As more people move into urban environments around the world, car manufacturers are coming up with new ways to meet the demands of the city driver. While size is often a concern when it comes to picking out a car that one will be able to park in the city, many city dwellers also want to be able to get great gas mileage to compensate for the higher cost of living in cities. There is plenty of traffic and potholes to be found in New York City, so most drivers just want a car that will not compound the problems that they are already dealing with on the roads. Let’s take a closer look at the top 10 cars that make the most sense for someone living in the Big Apple. 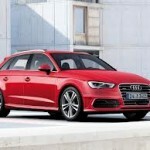 The Audi A3 does not have the best gas mileage on this list, but it is the perfect option if extra comfort at an affordable price is your main objective. There is an extra storage area for the driver, and the driver gets a seat that is adjustable in 12 different ways. Passengers also get the comfort of a fold down rear armrest in the back of the car, and a dual climate control system makes it easy to provide comfort in the front and the back. The tire-pressure monitoring system and anti-lock braking system can come in handle while driving around the city. 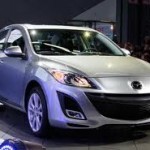 The Mazda3 is basically an even more affordable version of the sedan offered by Audi. This car comes with audio and cruise controls mounted on the steering wheel, which makes it easier to play the role of DJ while you are on the road. Lids for the front cup holders prevent a messy ride to work, and the storage compartments in the front of the vehicle double as bottle holders. One added perk of this vehicle is that it comes with a pollen filter in the air conditioning system. 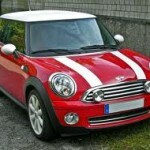 The MINI Cooper is the ultimate option for city-style practicality. The leather-wrapped steering wheel feels perfect in your hands, and the speed sensitive sound control turns up the volume when you get on the highway. Height-adjustable headrests make sure that everyone has a comfortable journey, and the six airbags throughout the entire car ensure a safe journey for you and your passengers. The Honda Civic is another practical, affordable option for driving in New York City, and the driver’s footrest adds a bit of extra comfort that is not usually seen in this price range. The optional navigation is a good addition for anyone who always seems to get lost in the city, and the sound system includes seven speakers and a connection for your MP3 player. This car gets 25 MPG in the city and 36 MPG on the highway. If you need a bit more room for more passengers while riding around NYC, then you may want to look at the Hyundai Tucson. It comes with a power sunroof that can allow you to enjoy the fine weather during the summer, and the driver’s seat can be adjusted in eight different directions. The outside mirrors on this car are heated, which makes them more accessible during inclement weather. 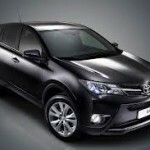 A more expensive SUV option for the city is the Toyota Rav4. The tire pressure monitoring system on this vehicle helps you track your tire pressure, and there is also a traction control system to ensure vehicle stability. It does not get the best gas mileage at 21/27 MPG, but you have to remember that it is an SUV. If you are worried about your car taking some dings and knocks around the city, then you may want to pick something that won’t break the bank. 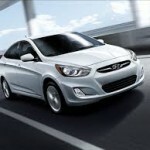 The Hyundai Accent is one of the least expensive cars on the market, and it’s small and nimble attributes are perfect for the city. This car won’t blow your friends away, but you may be able to buy a completely new set of clothes with the money saved on your car payments. 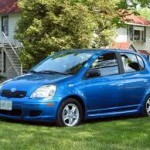 The Scion xA is the ultimate city car in theory. It’s rather compact for the amount of things that you can pack in there, and it is also quite affordable for the average driver. 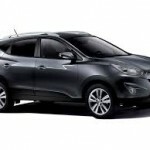 Most drivers are actually surpised by the quick acceleration found in this car that can lead to a more enjoyable ride. It also doesn’t hurt that you can get better than 30 MPG with this bad boy. The Toyota Echo is the perfect long term option if you know that you are going to be living in the city for the foreseeable future. This durable car is more of an investment into your financial future than a way to get to work, and it’s reliability is the key selling point. You can expect this ride to last much longer than any of the other options on this list, but it will also be a bit on the expensive side. 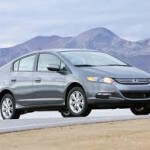 With the Honda Insight, you get close to 40 MPG in the city. Even when you are dealing with the stop and go traffic often found in New York City, you can still expect to get better than 30 MPG. That is an almost unheard of level of efficiency for a vehicle these days, and that efficiency is taken to the next level when you decide to take a trip upstate for the weekend. The one downside of this ride is that it is a two-seater, but when do you really need to fit more than one other person in the car while you are in the city? This is the most practical option for anyone who is looking for the best way to navigate the best city in the world at a low price. “The one downside of this ride is that it is a two-seater…” ??!! The 2nd generation Insight seats FIVE (well, four comfortably). 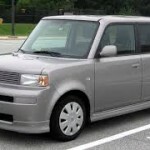 Having owned a scion xB, there is absolutely nothing quick about it.